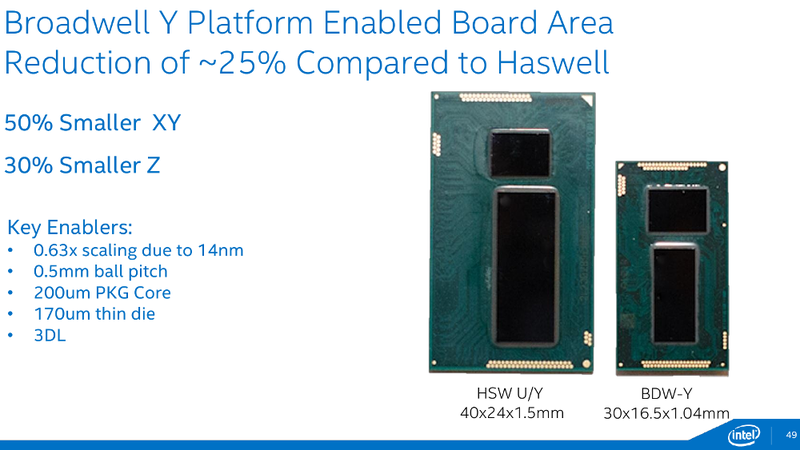 Though aimed at the mobile world, we'll see Broadwell-Y (dubbed Core M) in small fanless desktops (à la ZBOX) and Broadwell-U in the next generation NUC. Get ready for low TDPs (we're hearing sub-5W) and serious graphics improvements. Fanless overload. 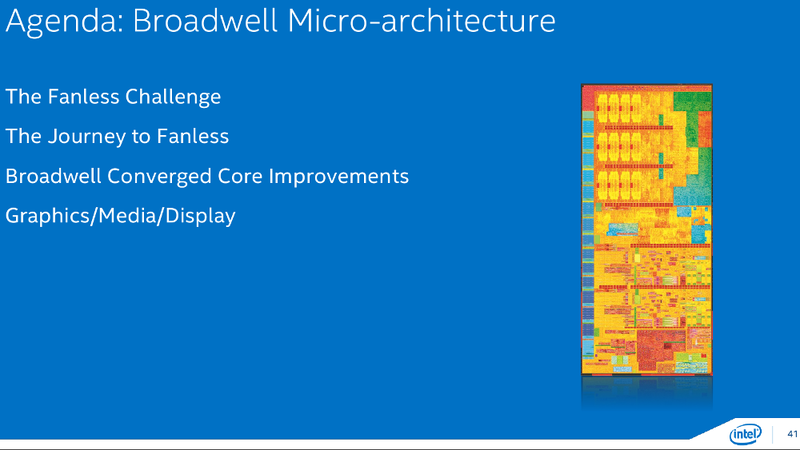 ✓ Intel disclosed details of the microarchitecture of the Intel® Core™ M processor, the first product to be manufactured using 14nm. ✓ The combination of the new microarchitecture and manufacturing process will usher in a wave of innovation in new form factors, experiences and systems that are thinner and run silent and cool. 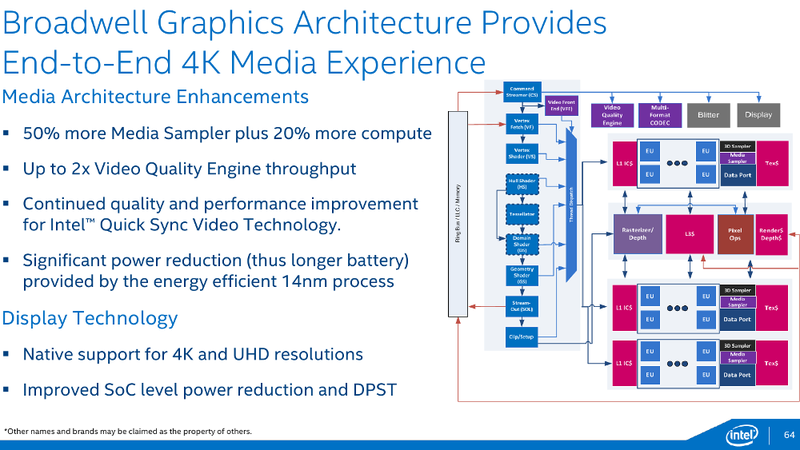 ✓ Intel architects and chip designers have achieved greater than two times reduction in the thermal design point when compared to a previous generation of processor while providing similar performance and improved battery life. ✓ Intel has delivered the world's first 14nm technology in volume production. It uses second-generation Tri-gate (FinFET) transistors with industry-leading performance, power, density and cost per transistor. ✓ Intel's 14nm technology will be used to manufacture a wide range of high-performance to low-power products including servers, personal computing devices and Internet of Things. ✓ The first systems based on the Intel® Core™ M processor will be on shelves for the holiday selling season followed by broader OEM availability in the first half of 2015.